Language and Religion - Gambia! The official language of Gambia is English (normally spoken in schools and public offices), otherwise there are, at least, 10 different languages spoken in Gambia. Some of them include: Wollof, Sere-sine, Sarahole, Pulaar, Maninkakan, Manjaque, Mandigo, Jola-fonyi and Aku’s Creole. Many people in the country can speak two languages, their tribe's language and English, sometimes you can find people who speak more than two, sometimes they speak 3 or 4 different languages. Before the arrival of the Europeans in Gambia none of the ethic languages were written down they were purely oral, and everyone just spoke thair tribe's language. 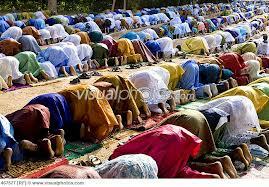 In Gambia the main religion is Sunni (Muslim), 90% of the people that live in the country are Muslim. The second most popular religion is Christianity, as 9% of the people are Christian. 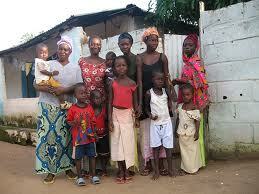 The last 1% of people that live in Gambia still believe in traditional tribal beliefs and in their own different gods. In nearly all of these religions people pray to a god and worship him, because they believe that their god will bring them a happy life.